Prospera's bYoung Duo Bike let you have an instant work out at your home or office. Full body work out on arms, chest, core muscles and legs at the same time. Height and angle are adjustable to perfectly suit your exercise. Two tension adjustable knobs let you control resistance. The Heavy-duty steel frame makes the bike stable and steady, quite, and with minimum noise. Sit on a comfortable chair, start to work out and look great today! The duo bike features heavy-duty steel frame, makes the bike stable and steady, quite, and with minimum noise. Sit on a comfortable chair, start to work out and look great today! Low maintenance yet durable. 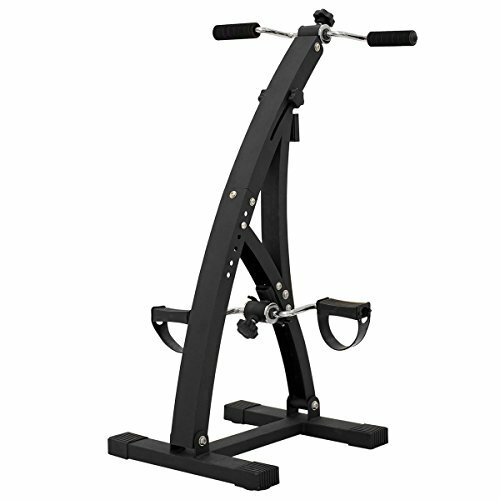 Height and angle are adjustable, 6 levels to perfectly suit your exercise. Monitor shows 4 numbers, cycle, time lapse, cal and cycle/min Two tension adjustable knobs let you control resistance for a prefect work out. Right in the kitchen or your living room, sit on a comfortable chair of your choice, you can do your work out now. Pedal adjustment, 3 levels to support a versatile yet challenging workout. The duo bike is compact, easy to store. Package include all parts, assembling tools, instruction manual. If you have any questions about this product by Prospera Corporation, contact us by completing and submitting the form below. If you are looking for a specif part number, please include it with your message.